Unforgettable Buenos Aires, get to know this elegant city. Argentina has astonishing and diverse landscapes from north to south and strong cultural life. Exclusive turism is at hand, getting top expriences for a fraction of its a cost. Our company is formed by golf enthusiats, focused on tailoring unforgetable experiences suitable for your tastes and needs. Travel with us, undestand first-hand why we are the top choice for golf travelers. 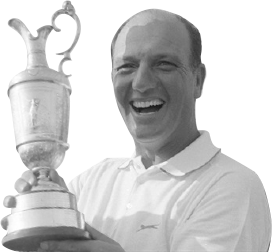 Argentina is the country with the largest golf tradition in South America due to its over 300 courses, 60,000 handicaps granted and the only two professional golfers winners of three Major Championships: Roberto De Vicenzo, and Angel Cabrera. It started in late 1800 with the British influence growing fast in our sports culture, and has an incredible link: Mungo Park, the Pro Scottish golfer founder of San Andres GC in 1892, won the first Argentina Open in 1905 (the 7th oldest in the world), while his father Willie Park Sr, was the first Open Champion, wining at Prestwick in 1860.